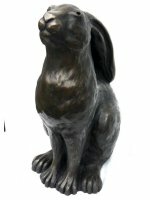 There is an old image of the Hare and the Moon. 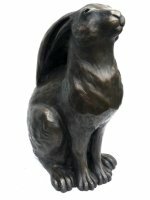 All these factors linked the hare to the lunar cycles and beliefs. 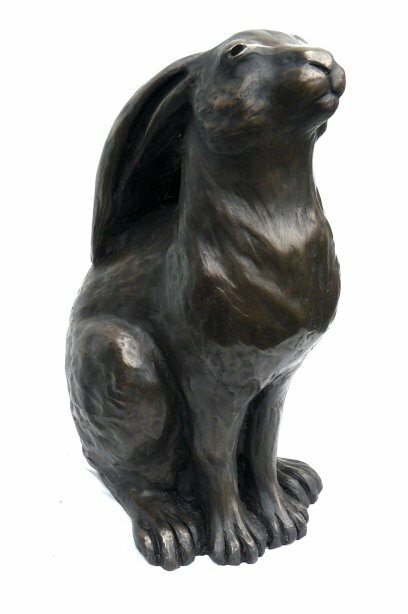 Pagans believed that seeing a moon gazing hare would bring growth, re-birth, abundance, new beginnings and good fortune. 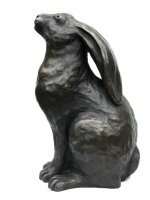 Made from high quality cold cast bronze by Sculptor Peter Close in his Somerset workshop. 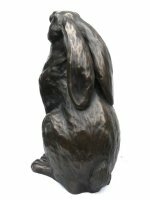 The moon gazing hare is completely weatherproof and is able to withstand very high and very low temperatures.